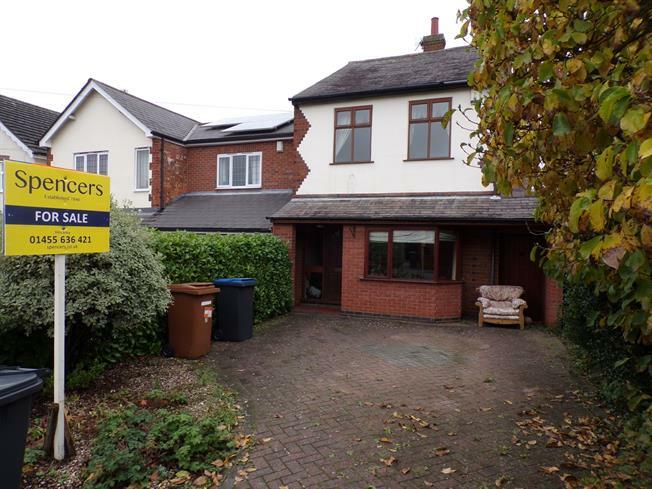 3 Bedroom Detached House For Sale in Hinckley for Guide Price £270,000. This deceptively spacious home will be an ideal family project for anybody looking for their forever family home. Having generous accommodation comprising entrance hall, three reception rooms, breakfast kitchen, utility store and cloakroom. To the outside of the property is a large rear garden enclosed with hedging and timber fencing and to the front is a driveway sufficient for three cars.